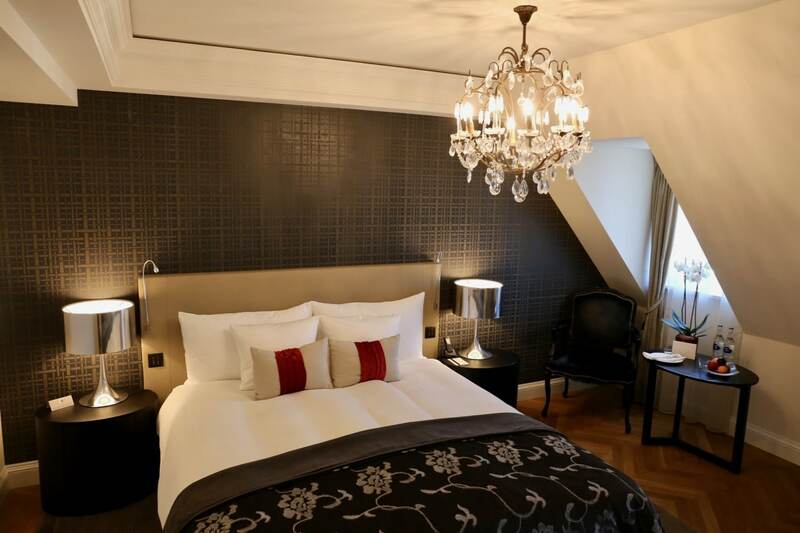 For over 150 years, the Hotel Schweizerhof Bern has been the leading hotel in Switzerland’s capital city. 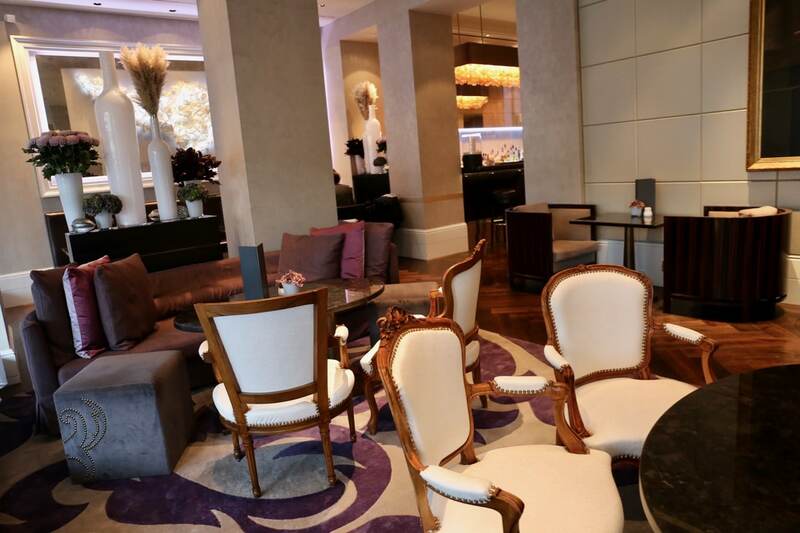 Located a stones throw from the train station, the five star superior hotel blends classical grand tradition with contemporary flair, elegant design and world-class service. The hotel was founded in 1857 but received its current name from Daniel Vogel who bought it in 1859 and combined it with the Zähringerhof next door to create the Hotel Schweizerhof Bern. The hotel’s golden age began when the Gauer family took over in 1939. Years later, in the 1950s, the rich and famous brought their own lustre and glamour to the Hotel Schweizerhof Bern. It’s sweet suites playing home sweet home to VIPs such as Elizabeth Taylor, Grace Kelly, and Sophia Loren. Today the Hotel Schweizerhof Bern comprises 99 stylish rooms and suites inspired by a mix of French charm and English understatement. Lighting from classic restored chandeliers offer a vintage vibe while white marble adorned bathrooms, featuring elegant rain showers and roomy Japanese bathtubs, are best enjoyed while slathering yourself with luxurious amenities by Bulgari. 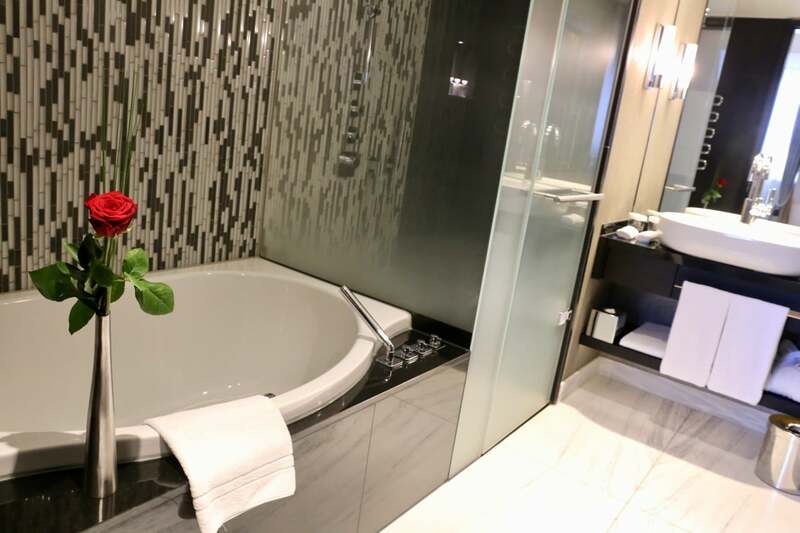 In the remaining areas of the room, the dominant taupe colour and elegant herringbone oak floors combine to create a warm “at home” ambience where you’ll find a plush bed, sweet smelling orchid, Nespresso station, and complimentary beer-filled mini bar. The basement of the hotel was once where Bern’s night owls gathered at the Schweizerhof’s old jazz club Jaylin’s, and is now home to THE SPA, a 500 square metre urban oasis. 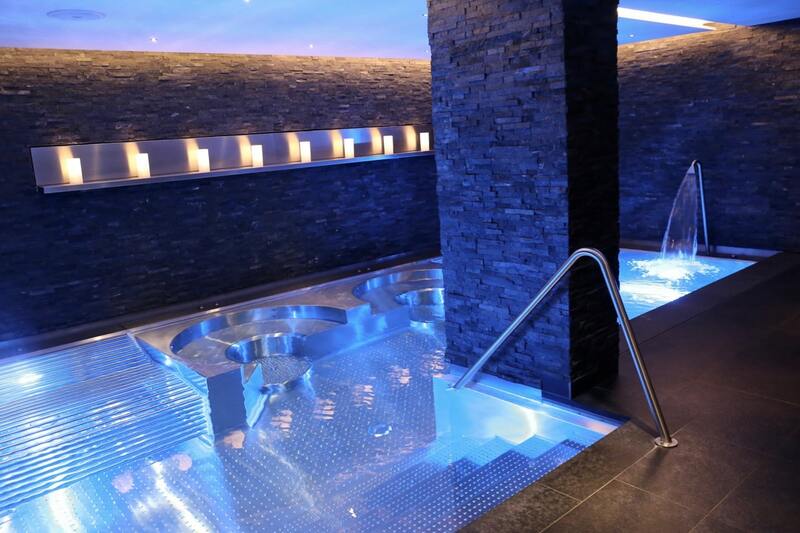 The relaxing restorative space features state-of-the-art facilities, including an indulgence pool with bubble beds and massage jets, a Turkish bath, Finnish sauna, experience showers, relaxation room with water beds, and treatment and fitness rooms. Each morning hungry guests wake up to the world at the hotel’s signature restaurant Jack’s Brasserie. 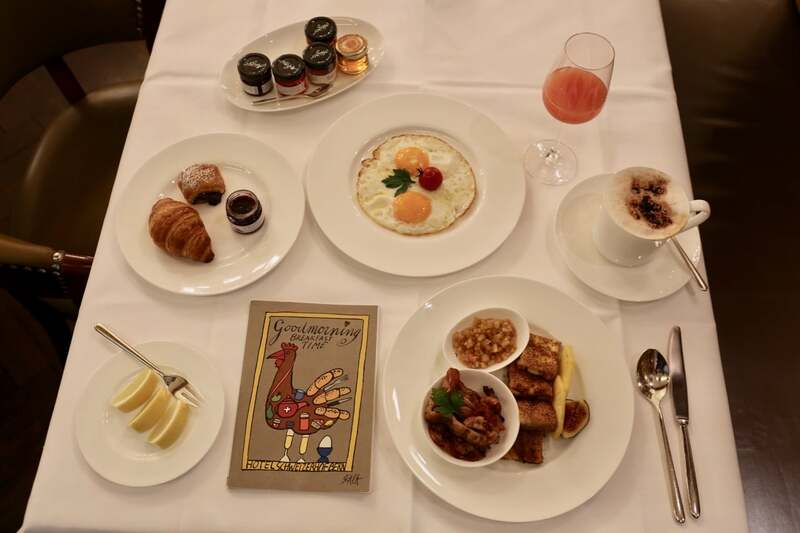 Breakfast includes a petite continental buffet (pastry, cereal, fruit, yogurt), freshly ground espresso sips, a la minute egg menu, and must-try French Toast accompanied by crispy bacon and topped with cinnamon spiced apple. Visit Jack’s Brasserie during the bustling lunch hour and you’ll find the place packed with the capital’s dapper politicians. The restaurant’s most famous dish is its Vienna-inspired schnitzel, served with lemon for spritzing and a warm potato salad. 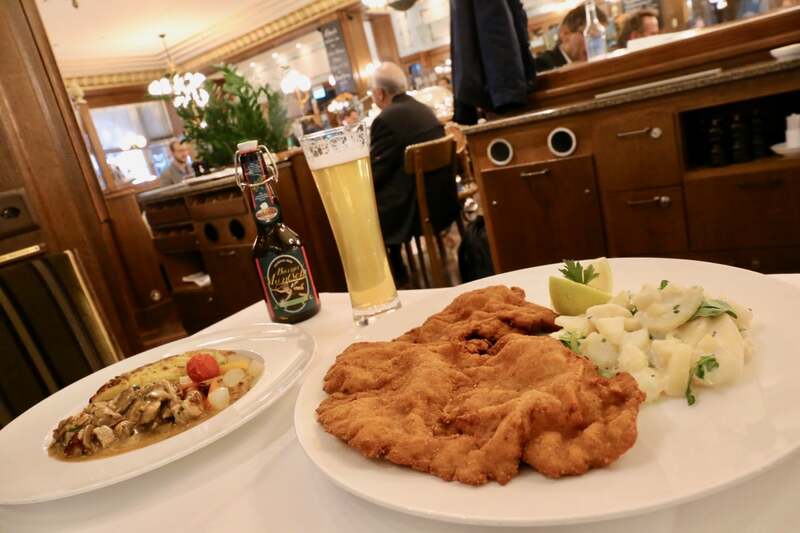 The kitchen of course also serves classic Swiss specialities, a creamy plate of Zurcher Geschnetzeltes (a sweet muddling of veal, cream and mushroom) is slathered over crispy rosti and best enjoyed with a hoppy pint of locally brewed beer. 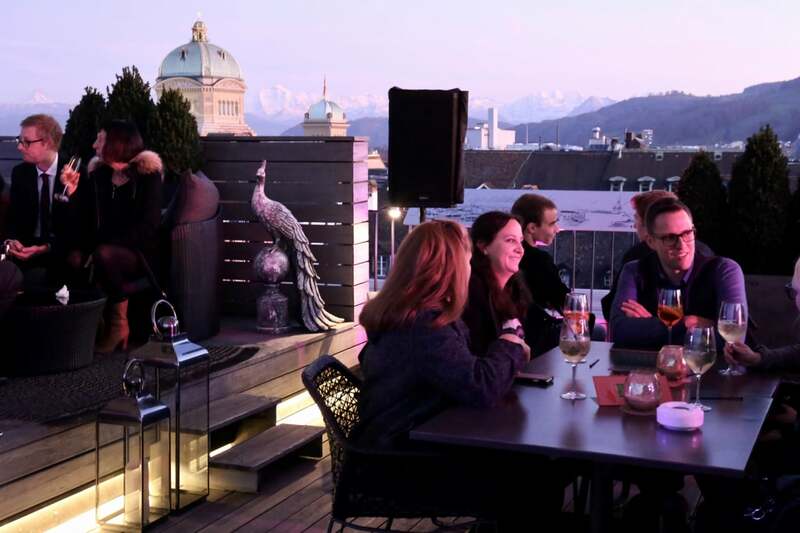 The hotel’s most coveted space is the Sky Terrace, Bern’s best rooftop bar offering cocktail fans a 360-degree panoramic view over the capital and its jaw-dropping mountain backdrop. It’s the perfect place to enjoy a sip and snack before the dinner hour so arrive early as its a local fave and gets packed with pretty people quickly. Later in the week a local DJ plays moody melodies which dance throughout the Mediterranean inspired space as guests sip fine wine, spoon through sweet sorbet, and find happiness with a hookah.